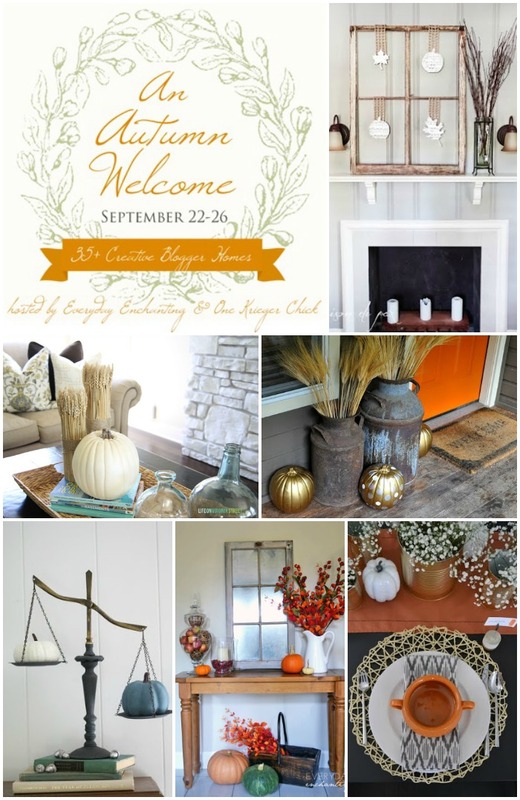 I am so excited and truly grateful to be a part of An Autumn Welcome fall home tour. full of fall inspiration and goodness. Here’s how it works: Five days of tours from Bloggers across the web..
new Bloggers and inspiration everyday. So stop by everyday this week, get inspired, share, pin, and spread the word. We have porches and mantles to decorate y’all. Check back tomorrow for the Tuesday line up.